Cats Protection launched a campaign in 2016 calling for change in the law to protect young kittens being sold sick and underage. 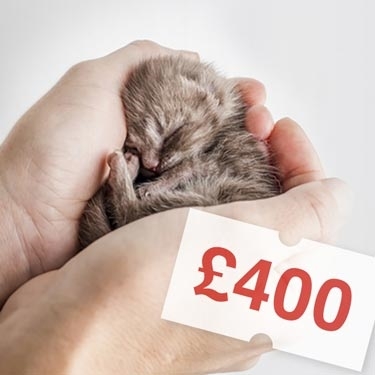 The True cost of Kittens campaign was created in response to a growing commercial market resulting in kittens being bred in poor welfare conditions and landing new owners with hefty vet bills. It called for urgent action to update the law on pet sales and clamp down on those who put money before basic welfare. We're really grateful for the support that we received - we couldn't have done it without you. We will continue to work closely with the government over the coming months on the detail of these proposals to protect the welfare of kittens sold commercially. Or see our update on the campaign on Twitter by clicking here.